The new trio of Motorola devices has just gone live and up for pre-order. 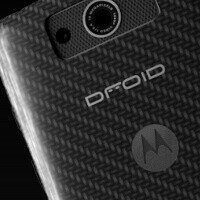 Placing your reservation now will result in you getting one around August 20th if you pick the Droid Ultra or Droid MAXX, and around August 29th if you choose the Droid Mini. 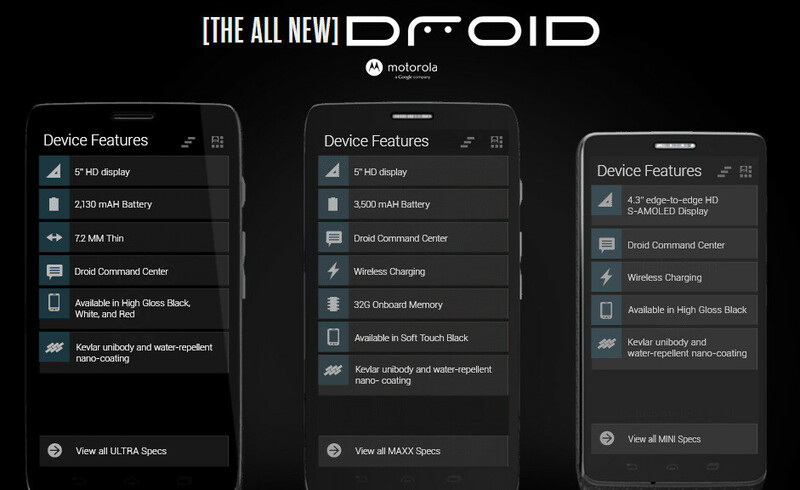 The Droid MAXX and Ultra are very similar, both featuring 5-inch HD displays and Kevlar unibody construction and water repellent coating. The Droid Ultra is extremely thin, while the Droid MAXX bets on maximum battery capacity with its 3500mAh juicer and on built-in wireless charging. The Droid Mini is a 4.3-inch device with Kevlar unibody and wireless charging. Hit the source link right below to place your pre-order and learn more about the devices. Okay now I'm impressed. Epic battery on the MAXX, promising battery-friendly specs, the 10MP shooter with the Moto X camera app so it's very close to that particular device. Great screen to phone ratio, no logo junk or unused space, kevlar build. WAIT the maxx isn't available in red? Not getting it anymore.